Arvin, of Indiana, created the first top to bottom unified design theme, in this case the Rhythm series. The three grille bars are found on all Rhythm series sets. This is a four-tube set, AM only. 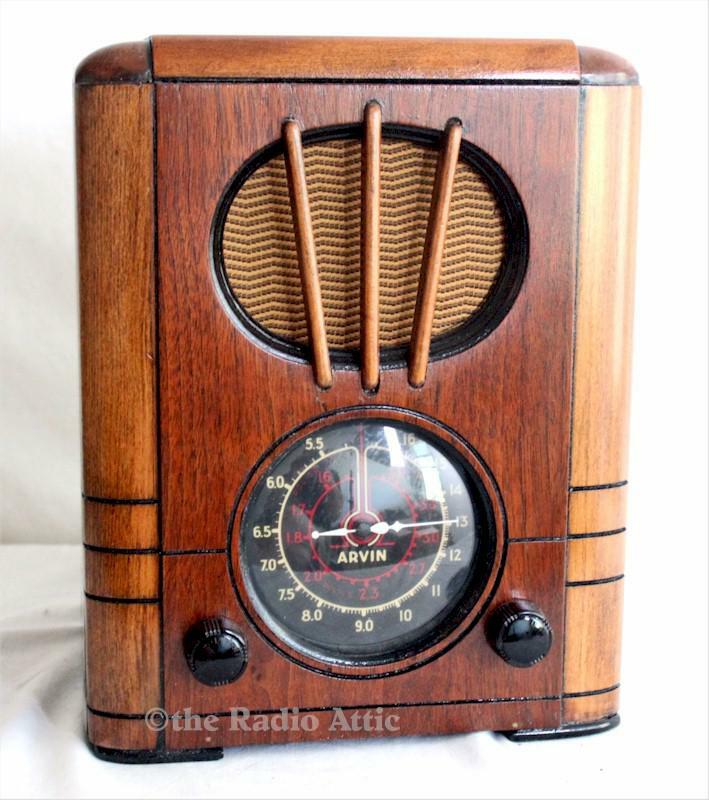 Restored electronically, and has surprising reception for an entry level set. Petite at 12"H x 9"W x 8"D.
You are visitor number 1,088 to this page.